It has been The Library Store’s privilege to serve libraries and schools for over 25 years. We remain committed to providing you with the best quality supplies and furnishings at the best possible price. Recent economic issues have made your job even more challenging. 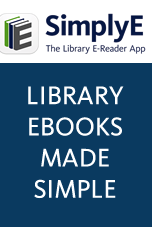 Our mission is to become the easiest Library Products company to do business with. Look to TLS for competitive everyday pricing and people that are always willing to take the time to ensure that you’re absolutely satisfied. The Library Store offers Califa members 10-15-20% off depending on the product. Use the Califa discount code at check-out to see your savings!